I originally posted the bulk of this blog as a response to another, but it's a subject that I feel worthy of rehashing—particularly given the number of enterprises out there whose aim is to divorce a struggling writer from his/her hard-earned dollaros. For the serious, non-hobbyist writer, getting read (a.k.a. getting published) is no simple task. The hurdles are considerable, and if you're here reading this, there's a good chance you know many of them firsthand. You have to submit. You have to wait. You have to accept criticism that sometimes isn't kind (and sometimes worse). You have to wait some more. Once your work's been accepted, you have to make sure you've got a good contract. You usually have to wait to get paid. Sometimes things happen in the business world—small press, big press, it makes no never mind—that cause the venue you were about to bust into to go bust overnight. In the early years of the 21st century, alternatives to traditional publishing are blossoming and beckoning, and oh, so tempting because they cut out much of that painful, rigorous editorial process. Even the best authors out there benefit from working with good, professional editors (emphasis on professional). The absence of one is just one of many nasty pitfalls in self-publishing. While there is certainly the occasional jewel among self-published works, the vast, vast majority of them would never make it out of any half-decent editor’s slushpile. 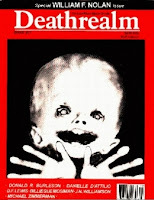 Having edited a major small press magazine (Deathrealm) for a decade as well as several professional anthologies, I can tell you right now that most folks who like to call themselves “writers” are simply not fit to do so. I find it rather hellish to even imagine retail bookshelves filled with such unfiltered dreck—and with price tags on the covers! Recently, just for my own edification, I’ve read a few of examples of self-published works, and I have to tell you...it’s a mess. People, editorial processes exist for a reason, and if you’ve indeed been through it, I trust you can appreciate why any writer worth his salt would want a good editor. Lord knows I do, and in my time, I’ve been fortunate enough to work with many, many good ones (and unfortunate enough to work with a handful of bad ones). Thus, it’s easy to see why self-published books carry such a negative stigma. Also easy to see why bookstores seldom carry them, reputable reviewers rarely review them, and book buyers usually barely glance at them. Little is more laughable than to see the term “best-selling” applied to some self-published book. Best-selling compared to what? Everyone loves to point to John Grisham, Mark Twain, and all kinds of well-known names as successful self-publishers. Guess what: major minority we're talking here. Too often from a different time period altogether. For every shining success story, one can only guess at how many thousands of utter flops exist—the only winners being the Lulus and iUniverses who rake in the dollars from all the hopefuls. To be a successful writer, you've got to be a successful businessperson. Multiply that many times over if you're running the business of publishing yourself. Are you going to actually be able to write your next book while you're playing entrepreneur in a field stacked against you? Another trap that I personally find rather galling: lately, I’m seeing “reviewers” who expect writers to pay them to review their books. God in heaven, what next? How can a review for which money has changed hands possibly be objective? If you, as a writer, pay a reviewer (who sells you on the premise because it will help you "sell, sell, sell") and then get trashed, what has the experience done for you that couldn't have been done better by simply workshopping the manuscript—or getting feedback from a legitimate editor? Yes, you may pay a publicist to get yourself more exposure, but that’s not buying a “review.” A glowing review for which you've paid means pure diddly to anyone. A review in Publisher's Weekly means something. A review in Library Journal isn't shabby, particularly if they give you a nice one. In the speculative genre, reviews in Science Fiction Chronicle, Tangent, Cemetery Dance, and others are nice enough, and if you really think that review blurbs are going to help you out, then at least with these you've got something reasonably credible on your side. And they don't cost you more than a copy of your book (in fact, in general, they cost the publisher an advance copy; another benefit of having a real one). Note: please avoid confusing self-publishing with Print on Demand (POD). If you don't know the difference already, you shouldn't be reading this. Go research. Is very easy. I’m an active member of HWA. I don't see it as an “old-boy’s club”; it’s a group that promotes professional pay for professional writers. Period. It’s hardly a perfect organization, but its “exclusivity,” if one wants to call it that, is there because it’s intended to promote professionalism—in terms of dollars and cents. It’s not for the casual hobbyist writer. As writers who work, we are looking to get paid to write by publishers who have the resources to acquire, edit, publish, and market quality fiction. Just to clear up a misconception that came to my attention: an advance, at least from any reputable publisher, is not a loan. It’s just what it says it is. If your title doesn’t earn out, you may have difficulty getting as large an advance in the future, and if you regularly fail to earn out, then the publisher may not be so eager to continue carrying you. But you don’t give that advance money back to them. I would never deal with a publisher who expected the writer to return a portion of it. After all, while authors can be expected to publicize and push and help sales along, it’s the publisher’s job to sell the title. Failing to earn out isn’t solely the author’s fault. As for me and why you might even care to listen to my opinion...well, no, I'm no best-seller; I'm no celebrity; and I'm not particularly rich from writing. But I've got a lot of years of working with editors, publishers, and other writers, in the big presses and the small presses. I make money writing, sometimes enough to make a real difference in my standard of living. No fame, but I have at least a modicum of recognition in the field, and at least to some, a certain amount of credibility that comes from lots of time dealing with professionals in the business. Writing itself is a tough endeavor; marketing yourself is perhaps even tougher. Yes, the publishing landscape is changing, and innovative approaches, from the top down, are both necessary and part of the business. One thing that doesn’t change, though, is that the editorial process exists for a reason. A very solid reason. Writers who defy it do so at their own risk, and that risk is pretty grave, if you ever expect to have a real career. Here's a link or two to articles and blogs on the subject that I feel are noteworthy and even balanced. Perhaps when I've got a tad more time to dig, I'll add a few more. Okay, it's time for my dinner. I go away now. 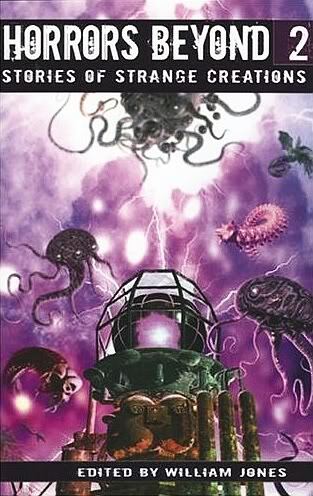 Most folks who have read a word I've ever written, fiction or otherwise, know that I'm a die-hard fan of H. P. Lovecraft's work. A couple of years back, the H. P. Lovecraft Historical Society released on DVD their silent version of Call of Cthulhu, which may be, to date, the best screen adaptation of Lovecraft. 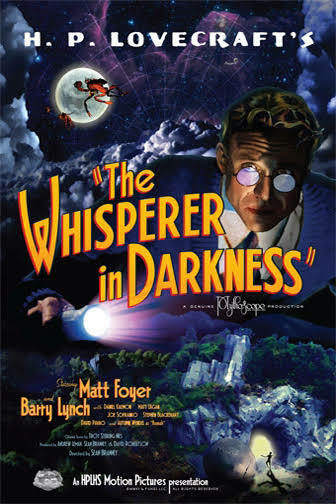 This has been floating around for a while, but I thought it worth mentioning that the same gang is putting together a talkie version of The Whisperer in the Darkness, which is easily one of Lovecraft's eeriest tales. The trailer—just a teaser, actually—makes it appear that the HPLHS guys have nailed it again. I'm not sure what the release date for Whisperer is, since, unfortunately, the Web site indicates nothing of the kind, but at least for the time being, this is my most-anticipated DVD release. Hurry the hell up, guys. My contributor copies of Frontier Cthulhu arrived in the mail today, so I smiled for a while. It's the new Chaosium anthology edited by William Jones, featuring my collaboration with Durant Haire, "The Terror From Middle Island" (which originally appeared in Dark Wisdom magazine). Chaosium still puts out a nice-looking product, and they sent me a check, which helps temper some long-standing ill feeling going back to Song of Cthulhu,which I edited in 1997 and came out in 2001. This actually looks like a really nice volume, so when I get done with Mr. Jones's previous effort (Horrors Beyond II), I think I'll dive into this one. I've spent the last couple of days giving my Web site a considerable facelift, going for improved readability and such. If you get a chance to check it out, I'd love to get any comments, particularly if you see areas that need improvement. 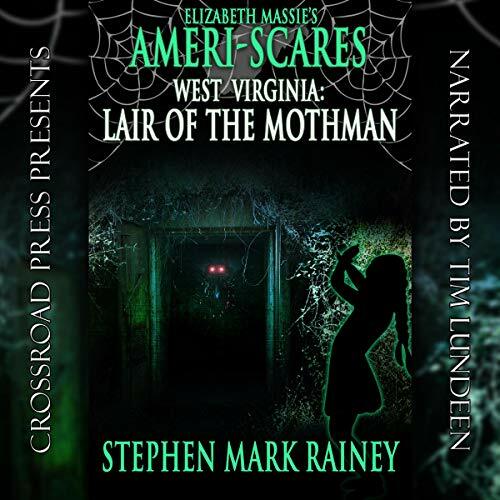 'Tis here: The Realm of Stephen Mark Rainey. 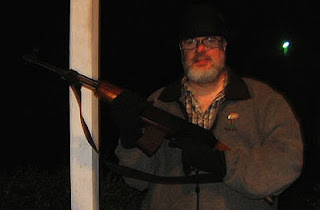 Our next-door neighbors were gone this past week, so Thursday about midnight, I go over to let out their dog. While Lucky goes winkle, I notice over at Turk's, the adjacent neighbor's, a bicycle lying on the driveway behind his pickup truck. Then I see a flashlight moving around inside the truck, the light revealing a figure wearing a stocking cap. I calmly collect the dog, deposit him inside, and return to my house to call 911. This done, I retrieve ye trusty ol' attitude adjuster (pictured), and wander back toward Turk's. Of course, at this point, the hamburglar has vanished. I alert Turk to the evident break-in, and he finds that his truck has been ransacked. Fortunately, there was little of value in it to begin with, and all that appears missing is a handful of change. With commendable response time (about three minutes), the police arrive on the scene, take my witness report, and go about the neighborhood searching for a burglar on a bicycle. As the officer said, no doubt some brainless crackhead trying to scrape up enough cash to get another fix. When I head back home, the missus has the camera out, snapping away, and takes a shot of the frustrated hunter. Oh, I do dislike burglars. I dislike them intensely. Of course, I can only use the attitude adjuster if I feel threatened, but then I'm sensitive that way. My contributor copies of Elder Signs Press's Horrors Beyond 2 anthology arrived today; another fabulous job by William Jones and ESP. Very attractive hardcover and trade paperback. "Stories of Strange Creations," the book is subtitled. The stories are about unusual devices, and one can be pretty well certain that they're mostly unpleasant. The devices, I mean. HB2 contains my story, "The Ghost Lens." Also features William C. Dietz, A. A. Attanasio, John Shirley, Richard A. Lupoff, Robert Weinberg, Paul S. Kemp, Jay Caselberg, Gene O'Neill, Alexis Glynn Latner, E. Sedia, David Niall Wilson, Lucien Soulban, Paul Melniczek, Tim Curran, C.J. Henderson, Greg Beatty, Michail Velichansky, Ron Shiflet, John Sunseri, and William Jones. Writer, Sinister Minister, and horrific host Maurice Broaddus has officially announced Mo*Con III, which I will be attending as a guest this summer. Other guests of honor include Nick Mamatas, Matt Cardin, Lucy Snyder, Tina Jens, Chesya Burke, Kim Paffenroth, and Bob Freeman. Mo*Con III will be held June 13–15, at The Dwelling Place, 7440 North Michigan Road, Indianapolis, IN 46268. Late addendum: My contributor copies of Doorways magazine #4, which features my story "A Tale of the Terrible Dead," arrived today as well. Looks like a good time to turn out all the lights and read some ramblings by the Rainey. Well...leave at least one reading lamp on, anyway. Artist Wayne Miller sent the cover art for Other Gods this evening. Pretty dang sharp. In the sad news department, Maila Nurmi, best-known as horror hostess Vampira, star of Ed Wood's Plan 9 From Outer Space, has passed away at the age of 86. It took Tim Burton's Ed Wood for me to gain any appreciation whatsoever of Plan 9, but I always did have kind of a soft spot for Ms. Nurmi. May she rest in peace. If you're hanging out in this neighborhood, it's a near-certainty that you're into creepiness. Because, yes, thanks for asking, I certainly am. Many years ago, my good friend and fellow scrivener of scariness, William R. "Mr. Bill" Trotter, gave me a tape of some dark music he thought I might enjoy. 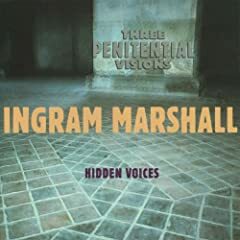 Among the many excellent selections were Ingram Marshall's Hidden Voices, which may be the eeriest piece of music I've ever heard. Much like Ennio Morricone's Carpenter-esque soundtrack to The Thing, Hidden Voices, when played in an otherwise silent, dark room, is almost enough to make me turn on all the lights in the house and put on some lighthearted death metal. It's a disconcerting, minimalist composition, featuring mostly human voices, distorted and warped, that conjure up a nightmarish yet strangely beautiful atmosphere. To my mind, it's the perfect soundtrack for Lovecraft's "Dreams in the Witch House." Back in the mid-90s, I played this piece for my at-the-time co-editor of Deathrealm, Dani d'Attilio—who was also a budding writer of no little talent. As a writing exercise, we both wrote stories based on the impressions that the music left us with. Her story was so different from mine that one would never guess the source of inspiration was the same for both; yet, an astute reader might be able to discern emotional peaks and valleys common to both, which corresponded to the musical flow. 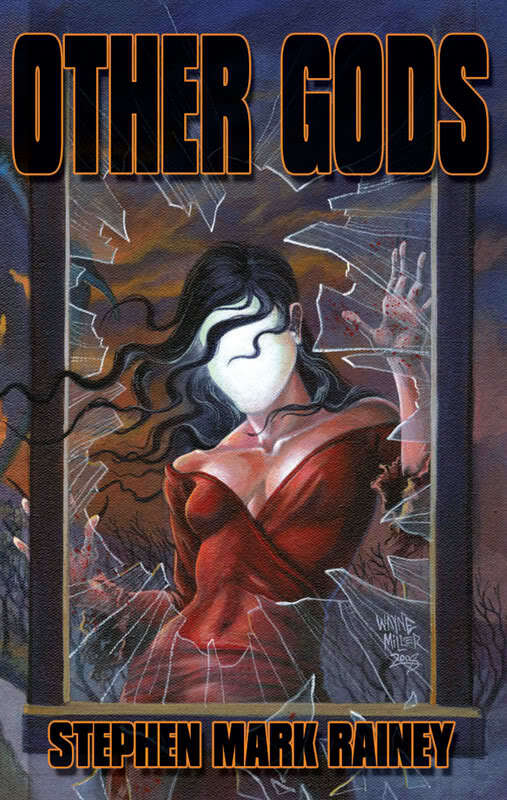 I liked her story, which she actually titled "Hidden Voices," well enough to run it in Deathrealm #27 (Spring 1996—the issue that was banned in Canada because of Ian McDowell's wonderful cover art). My tale was "Silhouette," which appeared in Cemetery Dance #24 (Summer 1996), and was subsequently reprinted in The Best of Cemetery Dance. (It will also be appearing in my upcoming collection, Other Gods, from Dark Regions Press, this spring.) To this day, I think "Silhouette" may be the creepiest story I've ever written, due entirely to the powerful inspiration of Marshall's music. Hidden Voices is difficult to find on CD anymore; it's on an album titled Three Penitential Visions/Hidden Voices, which includes three other tracks. For Christmas, I received a nice iTunes gift certificate, and I was thrilled to find that the entire album is available on iTunes for $9.99 (in fact, you have to purchase the entire thing; you can't get just the individual tracks). It's well worth it; Hidden Voices is by far the strongest and most distinctive composition on the album, but the others are none too shabby. If you've got a hankering to listen to something that will likely raise the hairs on the back of your neck, Hidden Voices is the ticket.